While Karan Johar apologized to Raj Thackeray for the characters in Wake up Sid referring to Mumbai by its old name Bombay, director Anurag Kashyap is in no mood to change the title of his film Bombay Velvet to Mumbai Velvet. The director says that the film is based on the 1940s and Mumbai at that time was referred to as Bombay and it is just logical to title the film Bombay Velvet. However, the film will not go on floors until the year 2011 as Anurag has signed a nine-film deal with UTV and he may not have the time to begin the project in the immediate future. 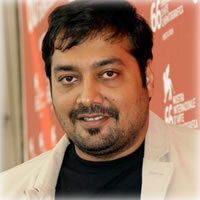 Moreover, Danny Boyle, who was to have worked along with Anurag Kashyap is also busy with four projects. The director also revealed that they have not approached any actor – Shah Rukh Khan or Aamir Khan – to star in the film yet.